Rich Ferguson is an award winning magician, author, creative consultant and creator of Magic Maker™. Please visit RichFerguson.com for detailed information about Rich. Prior to creating Magic Maker™, Rich was involved with other organizations such as Big Brothers Big Sisters, Social Services, Americorps, Dream for Kids, Boys and Girls Club and numerous others - helping the best he could in intimate and mentoring programs within his community. 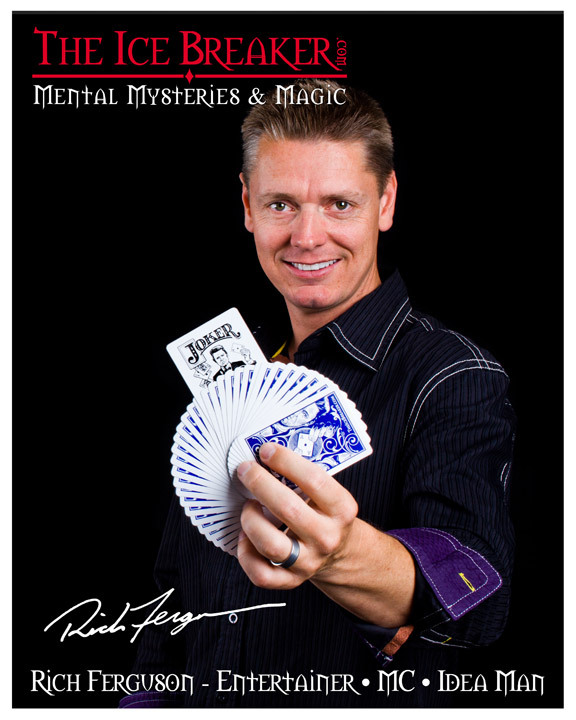 With Magic Maker™, Rich can reach larger audiences and share his experience and observations. Anyone who makes a difference in someone's life is a Magic Maker™. As Magic Makers, our job is to help kids overcome obstacles, embrace challenges and help foster their Magic, whatever that is. Life experience builds street smarts and common sense, skills that make the kids we work with shine if we help. Helping them discover their magic in life along with an attitude that challenges are essential gives them purpose and identity. Revisit some ideas shared by Rich Ferguson, hear his story and see how his observations may make a big impact on the magic in your life and the kids we work with.